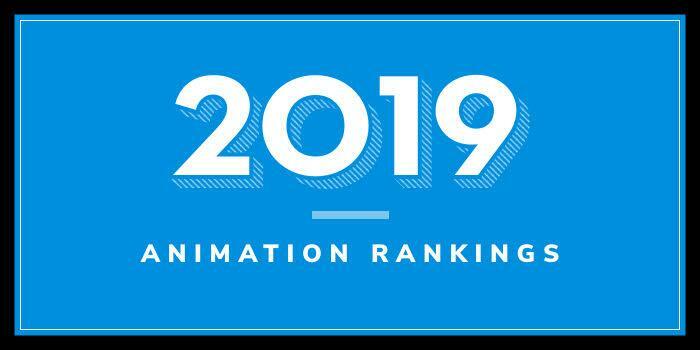 Below are the Top 50 Animation Schools and Colleges with BFA Programs for 2019. In addition, all students are required to take production courses in other Schools at CalArts (Art, Dance, Theater, Music), in order to develop interdisciplinary approaches. Study abroad opportunities are also available. Crowned the “Harvard Business School of Animation” by the Los Angeles Times, CalArts has produced hundreds of successful alumni who have generated billions at the box office worldwide. The school lists Tim Burton, Mark Andrews (director and screenwriter of Pixar’s Oscar winning animated feature Brave), Eric Darnell (co-director of Antz, Madagascar, Madagascar: Escape 2 Africa and Madagascar 3: Europe's Most Wanted, and Mark Osborne (director of Kung Fu Panda) among its most famous alumni. Course highlights include Computer Animation I-VI, Development of Art & Ideas, Drawing I-II, Figure Drawing I-II, Film & Narrative, Story Development I-III, Traditional Animation I-II, Visual Development for Computer Animation I-II, and Writing Studio. Established in 1880, University of Southern California (USC) serves 47,500 students enrolled in more than 200 undergraduate programs, 300-plus graduate programs, and more than 150 minors. Undergraduate offerings for aspiring animators include a BA in Animation and Digital Arts and a BFA in Cinematic Arts, Film & Television Production with Animation and Interactive Media electives. Savannah College of Art and Design (SCAD) was founded in 1978. With campuses in Savannah, Atlanta, Hong Kong, and Lacoste, France, SCAD is home to nearly 13,000 students from nearly 50 states and 115 countries. The school offers more than 40 majors and 60-plus minors, including animation, one of the school’s top majors. The program is offered through the School of Digital Media. Tisch School of the Arts houses the Maurice Kanbar Institute of Film and Television. The Institute’s Department of Animation and Digital Arts offers a BFA in Film and Television with an Animation Core in Production. Nearly 20 courses are offered as part of the program. Highlights include Action Analysis, Animation: From Pitching to Pipeline to Production, Drawing and Design for Animation, Experimental Animation, Life Drawing: Anatomy, Motion Design & Titles, Special Topics in 3D Computer Animation, Stop Motion Animation, Storyboarding, Visual Effects and Compositing, and Writing for Animation. Founded in 1900, Carnegie Mellon University (CMU) serves 14,000 students representing 109 countries. The school has more than 100 programs across seven colleges. The College of Fine Art, School of Art offers a BFA in Electronic and Time-Based Media with a Focus in Animation and a BFA in Integrative Design, Arts & Technology (IDeATe) with a Concentration in Animation & Special Effects. Rochester Institute of Technology (RIT) was founded in 1885 as Mechanics Institute. When it opened, the school offered mechanical drawing, which eventually attracted more than 400 students. Today, RIT is home to nearly 19,000 students majoring in everything from Art and Design to Urban Community Studies. RIT’s College of Imaging Arts and Sciences (CIAS) is home to the nation’s first PhD in Imaging Science and the School of Film and Animation (SOFA). SOFA offers a BFA in Film and Animation. Graduates of RIT’s Film and Animation programs have landed positions at top studios such as Disney Animation Studios, Electronic Arts, DreamWorks, Blue Sky Studios, Nickelodeon, Lucas Films, Industrial Light and Magic, Paramount, HBO, Rhythm and Hues Studios, and many others. Gnomon School of Visual Effects was established in 1997. Called “the MIT of visual effects” by Fast Company, “Gnomon offers a variety of educational options to help students reach their goals in the entertainment industry, with both degree and vocational certificate programs, specialized courses for high school students and over 100 individual courses for professional enrichment.” The school, which has 600 graduates to date, offers a BFA in Digital Production. The Department of Art offers a BFA in Art with an emphasis in Art and Technology. It emphasizes the creation of animation, interactive art and experimental forms in the context of art making. Ohio State introduced an interdisciplinary BA program in Moving Image Production in Autumn, 2017. Founded in 1866, the School of the Art Institute of Chicago (SAIC) is one of the oldest accredited independent schools of art and design in the country. Serving 3,640 students from 67 countries, SAIC offers more than 50 areas of study from Animation and Costume Design to Visual Communication Design and Writing, through 18 departments. The Film, Video, New Media, and Animation Department (FVNMA) offers a BFA in Studio with a Concentration Animation. Students in the program have the opportunity to gain entrance to the BYU Center for Animation (est. 2010), which operates under the direction of three colleges—the Ira A. Fulton College of Engineering and Technology, the College of Fine Arts and Communications, and the College of Physical and Mathematical Sciences. Accepting just 20-25 students each year through the school’s BFA or BS program, the BYU Center for Animation is a competitive, highly dynamic, hands-on program structured to provide students with the skill sets necessary for success in the animation, live-action, special effects, and game industries. A BFA in Animation with concentrations in Game Art, Traditional Animation (hand-drawn and stop motion), 3D Animation, Storyboarding and Character Design, Technical Artist, and Motion Graphics is offered. A VFX Concentration is also available within the Film and Television BFA and the school also offers a Game, Cinema and Animation Summer Academy for high school students interested in animation, with tracks in Hand-Drawn, Stop Motion, and 3D Animation for Games. Per the school, the BFA in Animation provides a “thorough foundation in the art of animation and its history, combined with intense practice in traditional animation (hand-drawn, stop motion, and hybrid), and 3D computer animation and modeling.” In addition, students have the opportunity to apply to participate in the Animation Summer LA Quarter. This ten-week immersion program is structured around living in student housing, taking classes on a historic studio lot, and interning at high profile animation studios. The experience teaches students how to navigate the studio system and helps them build a network of professional contacts. Academy of Art University was established in 1929. The school serves more than 7,200 students enrolled in dozens of Art, Design, Fashion, and Architecture programs. Degrees are offered at both the undergraduate and graduate levels, and many programs are available entirely online. The School of Animation and Visual Effects offers a BFA in Animation and Visual Effects that allows students to take classes specializing in one main area of the industry. Emphasis is placed on creating a professional demo reel and/or portfolio in tune with the latest industry trends. Specialization areas include 3D Animation, 3D Modeling, Rigging, Animation Generalist, Animation Producing, Storyboarding, 2D Animation, Puppet Fabrication, Stop Motion Animation, Compositing, Dynamics, Lighting, and Matte Painting. Course highlights include Cinematics for Animation & VFX, Computer Animation Production, Producing for Animation & Visual Effects, Sketching for Communication, and 3D Animation. Students will also complete Senior Portfolio for Animation & VFX, Collaborative Project, and Internship in Animation. Graduates of the animation programs at Academy of Art University have landed positions at Blizzard Entertainment, CBS Interactive, Disney Interactive, DreamWorks Animation, Electronic Arts, Lucasfilm, NBCUniversal, Pixar, and Sony Computer Entertainment America. Founded in 1988, DigiPen Institute of Technology serves around 1,100 students from all 50 states and close to 50 countries. Ten graduate and undergraduate program options are available in the areas of Art, Design, and Computer Science. Undergraduate offerings for aspiring animators include a BFA in Digital Art and Animation. The College of Art, Media & Design houses the School of Film, which offers several programs for aspiring animators. Undergraduate offerings include BFA degrees in Animation and Film + Animation. Per the school, the BFA in Animation “supports traditional hand-drawn, 3D computer, stop motion and any animation techniques that can be imagined or explored.” Students in the program will explore the variety of techniques available to the current animator, hone traditional skills, and learn how to tell engaging stories as well as create memorable characters, and bring their concepts to life. Besides taking courses such as Drawn Character Animation, Screenwriting, Special Effects Compositing, Storyboarding, and 2D Computer Character Animation, Animation BFA students will create a Junior and Senior Animation Piece, an Animation Thesis, and an Internship. Established in 1890, Columbia College serves more than 7,300 students from nearly every state and more than 60 countries. The school has over 100 academic majors or programs across several schools and more than 20 departments. Schools include the School of Media Arts, the School of Fine and Performing Arts, and the School of Liberal Arts and Sciences. The School of Media Arts is home to the Interactive Arts and Media Department, which offers BFA degrees in Computer Animation and Traditional Animation. Computer Animation students have the option to focus in Visual Effects or Computer Animation. Traditional Animation students may focus in either Hand-Drawn or Stop-Motion Animation. Sample courses for the programs include Acting for Animators, Alternative Strategies in Animation, Animation for Comics, Animation Layout, Animation Maquettes, Animation Portfolio Development, Animation Production Studio, Cartooning, Cinematics for Games, Character Design and Modeling, Computer Animation: Visual Effects, Digital Animation Techniques, Drawing for Animation, Environmental Design & Modeling, Figure Drawing, Storyboarding for Animation, and The Business of Animated Content. Students in the Traditional Animation program have the opportunity to either work collaboratively with peers to create a six-minute animated film over two semesters or take any three Animation electives of their choosing. Computer Animation BFA students will collaborate on a team project and develop their own solo short film. Undergraduate programs for aspiring animators include an Animation BFA with 2D and 3D Tracks or a Concentration in Animation/Experimental or Animation/Game. Students in these 120 credit hour programs may participate in CCAD’s International Exchange Program, which highlights study at China Academy of Art, Hangzhou, China; Universidad Mayor, Santiago, Chile; Xi’an Fine Arts Academy, Xi’an, China, and Northumbria, Newcastle, England. Students may also study at CCAD-approved programs at Studio Art Centers, Florence, Italy, and University of Arts London, London. Founded in 1910, Bowling Green State University (BGSU) serves 19,000 students, including 2,500 at BGSU Firelands in Huron, Ohio. The school offers more than 200 undergraduate majors and programs on the main campus and 22 at BGSU Firelands. The school houses nine colleges, including the College of Arts and Sciences, home of the School of Art. The School houses the BGSU Digital Arts program, which offers a BFA in Digital Arts. Syracuse University (SU) was founded in 1870. The school serves nearly 22,500 students from across the U.S. and 118 countries. The school offers more 200 majors, 100 minors, and 200 advanced degree programs through 13 colleges and schools and a graduate school. The College of Visual and Performing Arts (VPA), Department of Transmedia offers a BFA in Computer Art and Animation. The 120 credit hour BFA program “explores the possibilities of digital media within a fine art, exploratory, and culturally aware setting,” says the school. The degree program provides instruction in multiple art media where the computer plays the primary role. These media include computer-generated images, 3D computer animation, physical computing, creative computer programming, computer gaming, computer music, and sonic art. 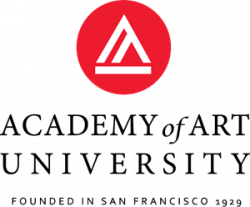 Founded in 1936, Rocky Mountain College of Art and Design (RMCAD) offers 16 degree and certificate programs to a population of 760 students. The school offers both campus/hybrid and online programs. More than 100 students are enrolled in the schools Animation Program. Degree options for undergraduates include a BFA in Animation with an Emphasis in 2D or 3D Animation. Graduates are prepared to seek positions such as Flash Developer/Designer, New Media Designer, Digital Videographer, 3D Artist, Character Developer, and many others. RMCAD graduates have landed positions at Pixar, Blue Sky Studios, Lola VFX, and Industrial Light & Magic, to name a few. Sample courses for the BFA program include Animation Studio, 3D Modeling and Animation, 3D Game Art and Engines, Digital Cinema Studio, Typography in Motion, Comics and Sequential Art, Video Production, and Graphic Design. Students in the program benefit from the two galleries housed in the School of Art and Design: student gallery and the John Furlong Gallery. These, along with other spaces on and off campus, provide student, faculty and outside exhibition opportunities throughout the academic year. The BFA in Entertainment Design at UW-Stout prepares students to enter the entertainment industry upon graduation or to enroll in an MFA program. The School of Art, Media, and Technology (AMT) offers a BFA in Design & Technology. Concentrations include Creative Technology and Game Design. Minors in Immersive Storytelling and Comics and Graphic Nature are also available, as well as a related program—the BFA in Art, Media, and Technology, offered at the Parsons Paris Campus. Graduates leave the program prepared for careers in advertising, animation, film, game design, graphic arts, hardware engineering, motion graphics, software design, and virtual reality and immersion experience design. Virginia Commonwealth University (VCU) was established in 1838. The school serves more than 31,000 students enrolled in 225 academic programs across 13 schools and one college. The School of the Arts, Department of Kinetic Imaging offers a BFA in Kinetic Imaging that the school says is dedicated to Animation Art, Emerging Media, Sound and Video. The BFA program has 100 to 110 students, and accepts just 28 to 35 new incoming sophomores each year. Students in the program will take courses such as Principles of Experimental Animation, 3D Computer Graphics and Animation, Theory and Production of Media-Based Sound, and Video Editing Techniques. Students can also explore Motion Graphics, Web Technologies, Projection Mapping, Virtual Reality, Programming, Interactivity, and Multichannel Sound. Per the school, work students create may appear as “a single-channel video or animation, a sound piece, an installation, performance, or interactive environment.” The program is designed to prepare students for a wide variety of opportunities within and outside of the animation industry. Edinboro University was founded in 1857 as the Edinboro Academy. The school serves more than 6,000 students enrolled 135 degree programs across five colleges and schools. The College of Arts, Humanities and Social Sciences is home to the Art Department which houses Edinboro’s second largest program by enrollment—the BFA in Applied Media Arts with 15 majors and programs. The Applied Media Arts – Cinema program allows students to focus on Traditional Animation, Computer Animation, or Film and Video. Per the school, Applied Media Arts - Cinema offers “direct, hands-on experience with state-of-the-art technology, including professional studio/field film and video cameras, lights and sound recording equipment, non-linear video editing systems, animation rostrum stands, a large green screen area, Screendigital scanners, animation line testers, and both 2D and 3D computer animation work stations” Animation, film and video production internships are available locally, regionally, and nationally. Graduates of the animation program at Edinboro have landed careers with Walt Disney Animation, Discovery Channel Pixar, and A&E Network as animators, writers, filmmakers, directors and producers. Names of alumni can be spotted in the credits for such films as Zootopia, Frozen, Night at the Museum, and Star Wars: The Clone Wars. Founded in 1909, Lesley University serves around 2,400 undergraduates and close to 4,500 graduate students enrolled in more than 160 programs through four colleges and schools. The College of Art & Design offers a BFA in Animation & Motion Media and a Dual BFA in Animation/Illustration. Course highlights for the program include 2D Design, 3D Design, Drawing, Computer Animation I-V, Introduction to Digital Arts, and Digital Film and Media Production. Students in the program will complete a Senior Exhibition and an internship opportunity is also part of the program. Missouri State University also lists computer animation as part of its Electronic Arts (EA) program. Students in this program will take many of the same classes as students in the BFA in Art program. In addition to these courses, student will complete a Senior Project in Electronic Arts. Virginia Polytechnic Institute and State University (Virginia Tech) welcomed its first class in 1872 under the name Virginia Agricultural and Mechanical College. Today, the school serves more than 34,000 students enrolled in about 280 undergraduate and graduate degree programs across nine colleges and a graduate school. The College of Architecture and Urban Studies houses the School of Visual Arts (SOVA), which offers a BFA in Creative Technologies. Students in this 120 credit hour BFA program will take courses in areas such as 3D Animation and Modeling, Digital Video and Visual Effects, and Digital Painting. Course highlights include 3D Computer Animation, Computer Animation Studio, New Media Art, Drawing, and Digital Photography. Students may also choose a Plan of Study from the following: Immersive Virtual Environments, Code and Form, and Moving Image. All Plans offer animation coursework. Immersive Virtual Environments students will take Topics in Computer Animation (Character Modeling), Topics in Computer Animation (Character Animation), Topics in Computer Animation (Video Game Design), and one other 3500 or 3600-level art course. Code and Form consists of Topics in Computer Animation (Processing), Topics in Digital Art + Design (Multimedia Studio Max/MSP), Intermediate Sculpture, and one other 3500- or 3600-level art course. Moving Image consists of Topics in New Media Art (Digital Video), Topics in New Media Art (2D Motion Graphics), Topics in New Media Art (Digital Illustration), and one other 3500, 3600 or 3700-level art course. Other program highlights include experiential learning experiences such as an internship and study abroad opportunities. Students in the program will “combine artistic vision and technical skills to transform their wildest imaginations into moving images on the screen.” Students will study 2-D, 3-D and stop-motion animation, as well as visual effects for movies and motion graphics. In the Animation Concentration, students will develop skills for storyboarding, character development, modeling, compositing, and game design. In the Visual Effects Concentration, students will use “cutting-edge technology,” to create effects for movies, online, and broadcast content.